In a 2018 systematic literature review published in the Journal of Clinical Psychiatry, researcher George Mamman and colleagues reported that across 12 studies of people with anxiety and mood disorders, participants who had used cannabis in the previous six months had more symptoms than those who had used less cannabis or no cannabis during that period. The 12 studies reviewed included a total of 11,959 participants. Four studies looked at post-traumatic stress disorder (PTSD), one at panic disorder, five at bipolar disorder, and 2 at depressive disorder. In addition to finding that recent cannabis use was associated with greater symptoms, the authors of the review also found that in 10 of the 12 studies, recent cannabis use was associated with less symptom improvement in response to treatment for bipolar disorder, depression, and PTSD; including both medication and psychotherapy. 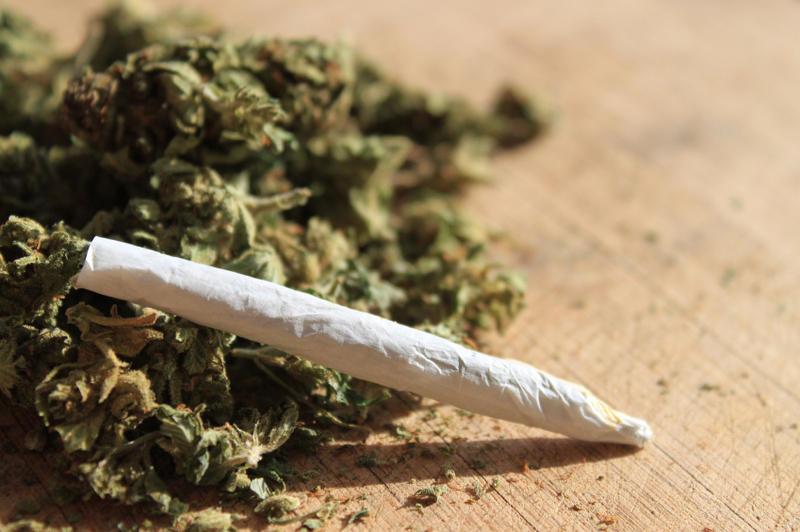 In bipolar disorder, cannabis use was associated with greater symptom severity. Cannabis use for more than one year was linked to more recurrences of mania and shortened time to a recurrence. Compared to participants with no prior use of cannabis, those with a cannabis use disorder had more depressive symptoms, including sleep troubles and loss of interest in activities one had previously enjoyed. In PTSD, any cannabis use at the beginning of the analysis period and sustained use of cannabis over time were both linked to greater symptom severity in the four months following the beginning of the analysis. Mammen and colleagues cautioned that these results are limited based on the differences in measurements across the 12 studies, the inpatient populations under study, and the uncontrolled nature of the cannabis the participants accessed on their own time. However, the authors suggest that the findings may inform patients’ and doctors’ conversations about whether or not to use cannabis. A 2017 study of twins between the ages of 11 and 16 found that being bullied around age 11 caused anxiety, depression, hyperactivity and impulsivity, inattention, and conduct problems, some of which lasted for years. Participants recorded their experiences with physical or verbal bullying, social manipulation, and property attacks (trying to break one’s belongings, for example). The effects of bullying decreased over time. The bullied children were still significantly more anxious than their non-bullied twins two years later, but this difference faded by the five-year mark. However, paranoid thoughts and cognitive disorganization did persist for 5 years. The twin study design helped researchers zone in on the causal effect bullying might have on the children’s mental health, rather than other factors the twins shared, such as genetics or family environment. The study included 11,108 twins born in England and Wales. The research by Timothy Singham and colleagues was published in the journal JAMA Psychiatry. 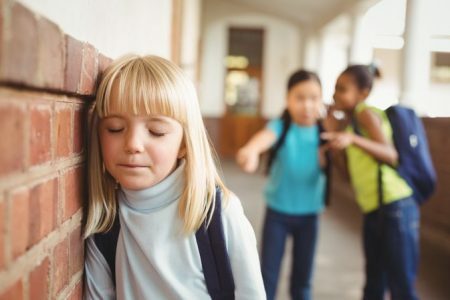 Interestingly, the researchers found that prior mental health difficulties increased children’s likelihood of being bullied, such that being bullied could be considered a symptom of preexisting vulnerabilities. Singham and colleagues suggest that in addition to interventions to reduce bullying and address familial factors that might make children susceptible to bullying, children should also be taught resilience skills. New research in non-human primates suggests that exposure to a high fat diet during pregnancy and in early development prior to weaning can increase the offspring’s propensity for anxiety later in life. 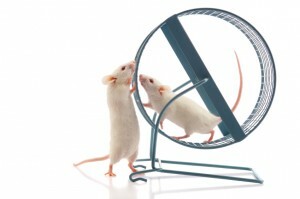 The new research echoes 2010 findings about rats. 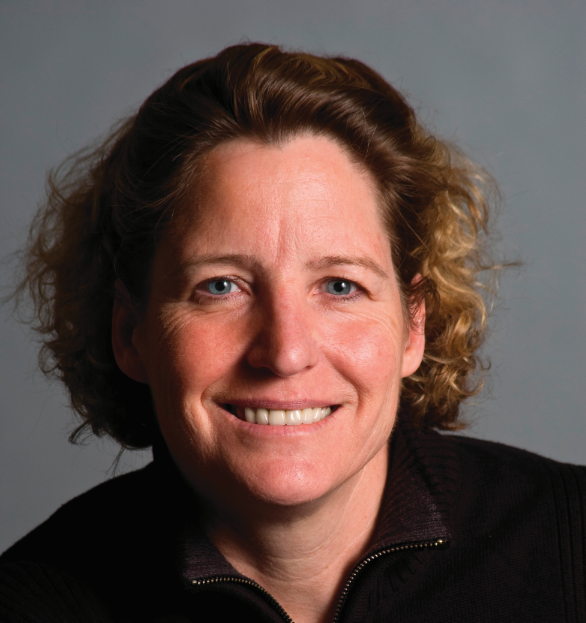 Researcher Staci D. Bilbo and colleagues reported in the journal of the Federation of American Societies for Experimental Biology that in rats, a high fat diet during pregnancy and lactation led to offspring with greater body weight, increased inflammation, and problems with anxiety and spatial learning. Switching to a standard diet after weaning did not eliminate these outcomes. The recent research by Jacqueline R. Thompson and colleagues, published in the journal Frontiers in Endocrinology in July 2017, suggests that maternal nutrition in the primate during pregnancy and lactation can have long-lasting effects on offspring’s neurological development, altering the brain and endocrine system. These changes occurred even if the offspring began a normal diet after weaning. 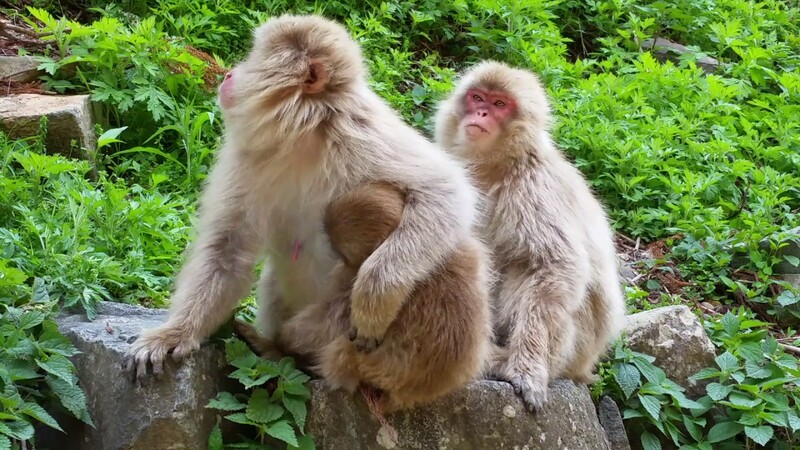 65 female Japanese macaques were divided into two groups, one that received a high-fat diet and one that received a normal diet. In the offspring of mothers who ate a high-fat diet, the researchers found impaired development of neurons containing serotonin. The offspring of the high-fat diet group also showed behavioral alterations such as increased anxiety. The high rates of obesity in the US and other developed nations make these findings particularly important. The researchers suggest that 64% of women in the US who are of reproductive age are overweight, and 35% are obese. Co-author Elinor Sullivan suggested that the findings from the study could motivate mothers to make healthy nutritional decisions, not only for themselves but for their children as well. A 2017 article in the journal Microbiome suggests that gene-regulating molecules called microRNAs in the brain may be the link between microbes in the gut and emotions. The research by Alan E. Hoban and colleagues looked at mice raised in a sterile, microbe-free environment. These mice had fewer anxiety-like behaviors than mice raised among the usual bacteria, viruses, and fungi. This finding implies that the microbiome—the trillions of microbes that live in and around our bodies—affects brain functions. In this case, the affected regions were the prefrontal cortex and the amygdala, which both play a role in the detection and response to fearful stimuli. These regions showed alterations in the level of microRNAs present. When Hoban and colleagues introduced microbes into the animal’s systems, some microRNAs did not bounce back, suggesting that there may be a crucial window early in life when the presence of microbes is needed for the brain to develop normally. In general, this research shows that microRNAs are key to understanding the link between the microbiome and the brain. A 2014 meta-analysis of clinical trials showed that the therapeutic technique known as eye movement desensitization and reprocessing (EMDR) can reduce symptoms of post-traumatic stress disorder (PTSD). The meta-analysis also established that longer durations of EMDR treatment correlated with better outcomes. 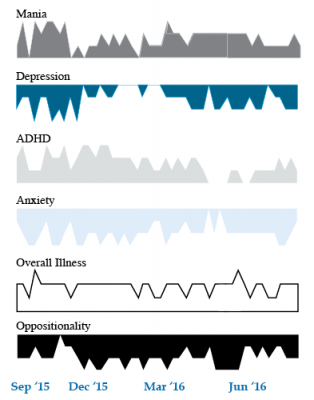 The meta-analysis by Ying-Ren Chen and colleagues in the journal PLOS One evaluated 26 randomized controlled trials of EMDR in people with PTSD. Chen and colleagues found that EMDR reduced PTSD symptoms, depression, anxiety, and subjective distress. EMDR is a psychotherapeutic technique intended to reduce the distress that a patient feels about a traumatic memory. The patient is encouraged to recall the traumatic event while focusing on an external stimulus. Typically this would mean using their eyes to track the therapist’s hand moving back and forth from left to right. This process can help patients reprocess the trauma and alleviate the stress that they feel upon recalling the traumatic memory. Chen and colleagues found that EMDR sessions that lasted longer than one hour were more effective than those that lasted less than an hour. Another finding that was that groups led by therapists who were experienced in PTSD group therapy were more effective than groups led by therapists without that experience. Other more recent research has established that traumatic memories can be reprocessed or even extinguished by making use of the memory reconsolidation window. Five minutes to one hour after a patient engages in active emotional recall of a traumatic memory, a window of time opens in which that memory is subject to reinterpretation and revision. 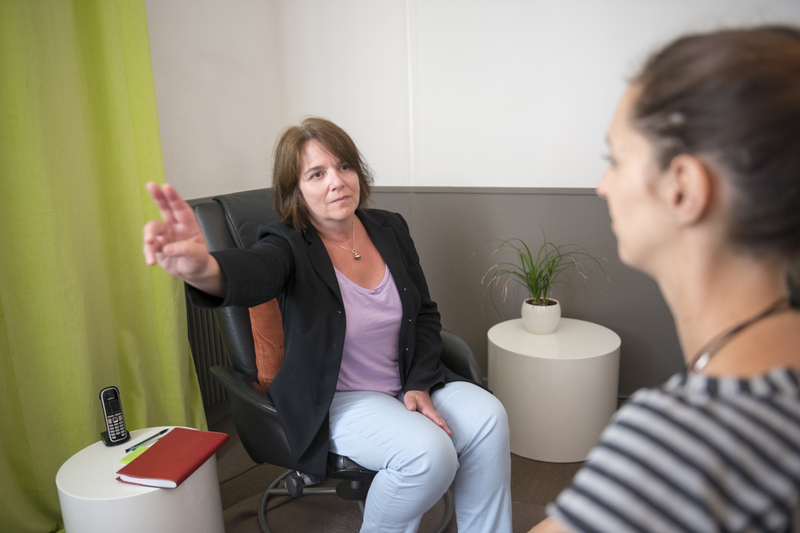 An experienced therapist can create a safe environment for a patient to recall traumatic events and find alternative ways of interpreting the experience—for example, by focusing on their strength in surviving the experience. This process resembles EMDR in many ways, but without the eye movements. In a 2017 article in the journal Psychiatry Research, BNN Editor-in-Chief Robert M. Post and colleague Robert Kegan discuss the possibility of using the reconsolidation window to reprocess stressors that led to a depressive episode. In research presented at the 2016 meeting of the Society of Biological Psychiatry, Jonathan P. Godbout described how an immune reaction to repeated stressors may lead to anxious behaviors in mice. Mice were repeatedly defeated by a larger animal, a form of stress that produces a depression-like state. This provoked an immune response in the mice—the release of a type of white blood cells called monocytes from the bone marrow into the circulatory system. These inflammatory monocytes then traveled to the brain and spleen, attracted by signaling proteins called chemokines. The monocytes in turn produced inflammatory marker interleukin-1beta. The defeat stress also provoked a reaction in the central nervous system, where microglia were activated. 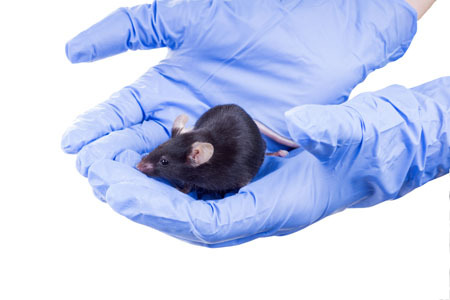 These changes produced inflammation and anxiety-like behaviors in the mice. Blocking the microglial activation, monocyte recruitment to the brain, or interleukin-1beta signaling each reversed the anxiety-like behaviors. Another researcher, Scott Russo, has shown that leukocytes, another type of white blood cells, secrete inflammatory interleukin-6 following defeat stress, and blocking this secretion prevents defeat stress–related behaviors. 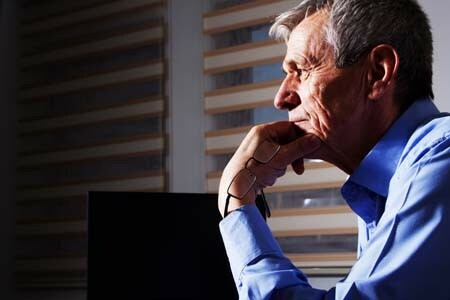 A large study of retired Americans found that those with high levels of the inflammatory marker C-reactive protein in the blood had more depression and anxiety. Higher CRP also predicted severity of depression and anxiety four years later. The study, by researchers Joy E. Lin and Aoife O’Donovan, included 18,603 people over age 50 from the Health and Retirement Study. It was presented at the 2016 meeting of the Society of Biological Psychiatry. Lin and O’Donovan hope that treating or preventing inflammation may be the key to preventing symptoms of depression and anxiety. Vitamin B12 deficiency is a risk associated with a vegan diet. B12 deficiency can lead to depression, anemia, and even irreversible neuron damage, according to researcher Drew Ramsey, who spoke on the topic at the 2016 meeting of the American Psychiatric Association. A study of vegans showed that 52% were deficient in vitamin B12, while another 23% had insufficient levels of the vitamin. 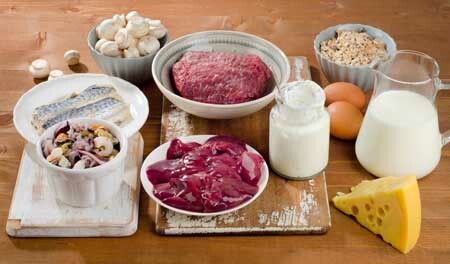 B12 is found in the highest concentrations in certain seafoods and liver. It is also found in dairy products, eggs, fortified breakfast cereals, and is available in supplement form. Women who eat a vegan diet while pregnant may not be providing their offspring with enough nutrients, according to researcher Emily Deans, who also spoke at the meeting. A case report on 30 vegan mothers found that 60% of their offspring had developmental delays and 37% showed cerebral atrophy. Deans said that eating no meat is associated with higher rates of depression, anxiety, and worse quality of life. Ramsey believes that while the North American diet is probably weighted too heavily toward animal products, seafood remains an important source of B12.